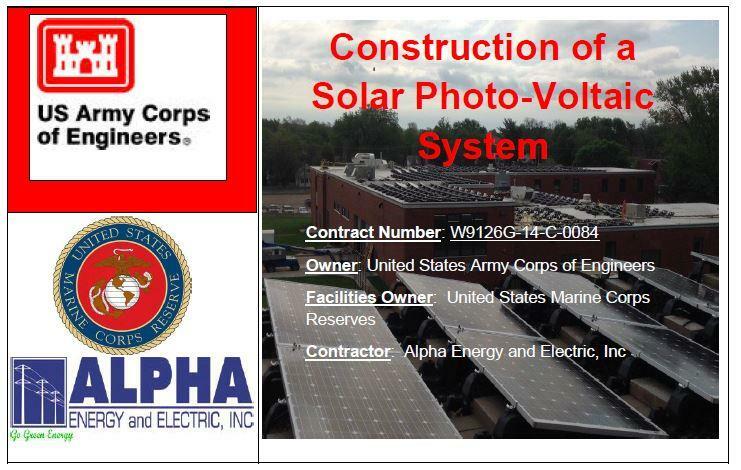 February 27, 2015: Alpha Energy and Electric, Inc., wins a major Construction of a Solar Photo-Voltaic System Project owned by the United States Army Corps of Engineers. We at, Alpha Energy and Electric, Inc., are humbled, honored, elated and grateful to be the selection of choice. Thank you United States Army Corps of Engineers for choosing Alpha Energy and Electric, Inc. for this significant project.